I must have totally been out of it yesterday. 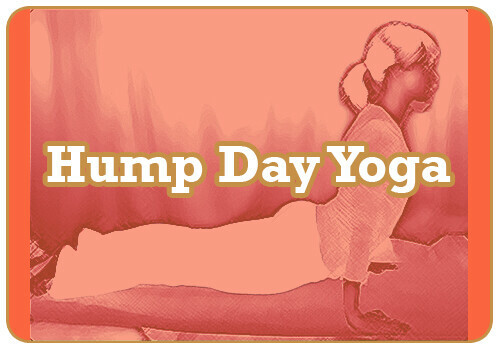 For whatever reason, I had it in my head that today is Hump Day Yoga. But, of course, we all know I'm a day late. I'm sure you don't mind. Today's focus is on the Crow Pose (or Bakasana) -- it's a more intermediate or advanced pose than we've been covering, but it's one I most definitely enjoy. Mostly for the challenge. If you're new to yoga, you may want to take it slow with this one. Some of you may have never balanced your body like this before. When I was young, I used to take gymnastics -- so, I had a head start the first time our yoga instructor asked us to do it. But those of you seasoned yogis out there might notice I'm making a beginners no-no. According to Yoga Journal: "Beginners tend to move into this pose by lifting their buttocks high away from their heels. In Bakasana try to keep yourself tucked tight, with the heels and buttocks close together. When you are ready to take the feet off the floor, push the upper arms against the shins and draw your inner groins deep into the pelvis to help you with the lift." Just do your best! 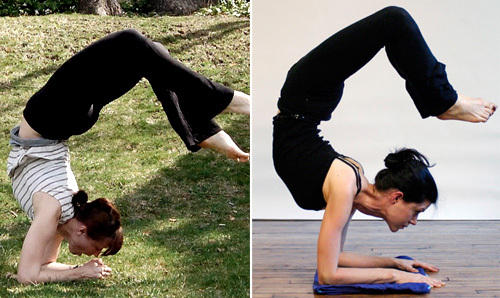 And if you're totally new and still want to try this pose: Be careful! You may also find it easier to start by having your feet on a towel or something else (again, be careful) to lift yourself up a bit higher than just starting from the floor. Squat with your feet a few inches apart from one another. Separate your knees (so they are wider than your hips) and gently lean forward. Your arms should be between the inner thighs. Stretch your arms slightly forward, then continue on to bend your elbows and place your palms on the floor. The back of the upper arms should rest against your shin bones. Gently lean forward -- shifting your weight from your legs/feet to your arms. It's best to slowly lift from flat feet to tippy-toes to look-mom-no-feet, if that makes any sense. Once you're up -- stay there for between 10 seconds and 1 minute. If you don't get totally up, don't fret. Just keep practicing. And if this pose looks crazy to you, don't do it. I'm planning to do some more basic poses for next week's post. I also tried a super difficult pose over the weekend that I've been working up to -- first an assisted elbow stand. Then elbow stand. Then assisted half-scorpion. Then I just went for an unassisted. Definitely am not there yet. I'm in no way suggesting you try this at home. In fact, please don't if you have no prior gymnastics/dance/cheerleading/etc. experience. 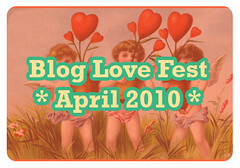 ALSO check out this month's Blog Love Fest. It's a special edition because we're not only sharing the links in a list this month. We're creating a categorized blogLOVEroll. For all the gooey details, just visit the BLF post.